On the recent survey for the March 18th staff development, a large portion of responses indicated an interest in learning about tools for formative assessment. Unfortunately, with the limited number of blocks available, we won't be offering a session on this topic, so that's why this issue will be dedicated to the subject. Additionally, this fits perfectly with our district goals: engaging classrooms, safe environments, informed decisions. In the issue, we'll be first taking a look at exactly what constitutes formative assessment, how to use it, and why. 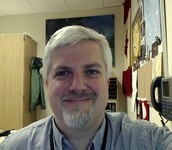 Then, we'll be looking at some tech tools you can use with your students. As always, if you would like more information, or help implementing anything you see here in your classroom, please contact me. At the most basic level, all we're really talking about is gauging in your students the level of understanding of the concept or skill you're trying to teach, and then using that information to decide whether to reteach or move on. As teachers, we already do this, all the time. Every time we ask our class a question about the lesson we're teaching, we're going through this process. There isn't always a formal, drawn-out process involved, but we are doing formative assessments every day. To answer this, we can start with another question: would it be fair if the first time we check with our students to see if they've learned what they need in order to meet our objectives is on the final unit or chapter test? This gets us closer to seeing the value of formative assessment. Too often, grades are seen as the end goal by students, parents, and even some teachers. Grades might be a necessary (?) evil associated with measuring learning, but they aren't why we're here. We're here to teach our students the skills and concepts they need and should have to be successful in their future lives. So the most important thing is not the grade a student gets, the most important thing is the learning that has taken place. If we wait until the end of a lesson, a unit, or a year to find out if our students have learned what we set out to teach them, it becomes almost necessary to say of those who don't perform well on the summative assessments, "That's a shame, but I have to move on." Formative assessments aren't for the students, they're for us. They give us a chance to see where the class as a whole and individual students stand in regards to our objectives, and then adjust our lessons in accordance. They help us ensure that by the time we get to the summative assessments the desired learning has taken place, instead of being shocked or dismayed that it hasn't. As mentioned above, at it's most basic level, asking a question in class and scanning the room to get a "feel" for the class's understanding is formative assessment. We do this all the time, and it is certainly invaluable. An experienced teacher who has gotten to know his/her students can often use this type of informal assessment effectively. It's a good idea, though, to also use some formal assessments during the course of teaching a concept that will provide more hard information to measure understanding beyond the feelings we're getting. Sometimes these back up our feelings, and sometimes they can surprise us by showing that we had misread our students' level of understanding. As an added bonus, when we turn to some of the tech tools that are available for us to use, they are also very often engaging. Not only do they shake up the routine and provide a change of gears during a lesson, but, at least for some of the tools we'll look at, students have fun with them. For us, the real benefit is that at the end of the literal day, these tools will provide us with a set of data that we can analyse to see exactly how much of the class is mastering the targeted skills or concepts, and even let us examine individual students to spot areas in need of reinforcement. The list below is alphabetical, so there's no special significance in those at the top or bottom. I have stuck to tools that are completely free. For each I have tried to provide a summary of how it works and what you would need to realistically implement it with your students. As always, if you would like to learn more, or would like help trying some of these out, don't hesitate to contact me. Already the subject of a 2 Minute Tech Tip, Flubaroo is an add on for Google Sheets. The way it works is you create a quiz in the form of a Google Form (you do this in your Google Drive account). When you create a form, it will create a spreadsheet to automatically collect all of the responses to the form. It's in this spreadsheet that Flubaroo does it's work. 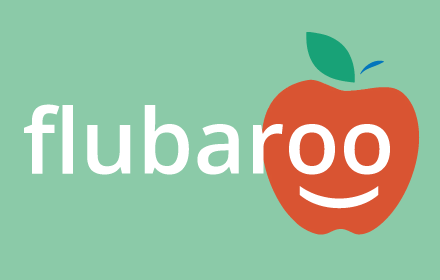 You can use a combination of objective and subjective questions, you'll need to hand grade the subjective questions, but Flubaroo will grade all of the objective questions for you. You can then quickly add in grades for the subjective parts and provide individual feedback for each student. You can look at data for the whole class, and if you choose to, you can email (or print) results and feedback to each student with the click of a button. You need access to your Google Drive to set things up. You can use almost any internet-enabled device, but I recommend something with an actual keyboard. Your students will need to access the form via a link you provide them. They can do this on internet-enabled device including any computer, iPad, iPod, tablet or smartphone. This service is quite robust. With Formative, you can create very flexible digital assessments and assign them to your students. The system will then keep track of their results and provide you with a range of tracking and reporting options. Another very nice thing is that they have a YouTube channel with a pretty comprehensive set of tutorial videos. 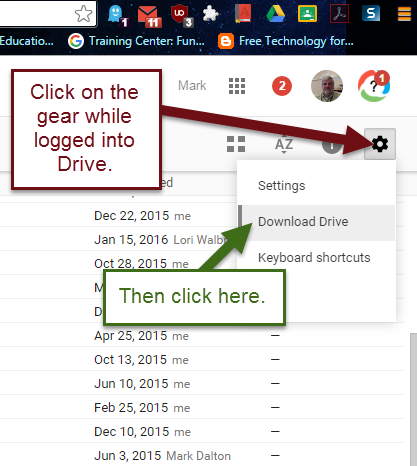 You and your students can create and log into your accounts with the click of a button by using your school Google accounts, making that aspect very easy. Formative is a website, so you can set up and monitor your classes from any internet-enabled device. Your students can also complete their assignments on any internet-enabled device. Kahoot! has become a big name in the growing trend of gamification in education; a trend that teachers have quietly been using for decades any time they do a review game. It's very easy to use. The teacher puts together a set of multiple choice questions as a quiz, creates a survey, or uses open ended questions to prompt a discussion. Using the quiz feature creates a game. Students will see the question at the same time and race to answer it. The system keeps track of scores based on the time it took to answer and right or wrong answers. The top three scorers in the class will be displayed on the board. Anyone falling below #3 will only have their score seen by themselves and the teacher. Results are saved in your account. 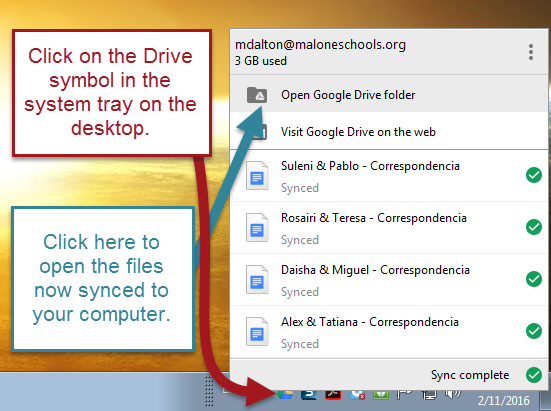 You also have the option of having the results sent directly to your Google Drive account in the form of a spreadsheet. This is a great option if you're looking to track ongoing data on a particular student or class. The teacher needs to register for a free account. You can create your Kahoots on any internet-enabled device. There is no app, so you'll need something with a browser. Students do not need to register for an account. When you create a Kahoot and start to run it, you'll get an access code. Students go to the site in any browser, on any device, and enter the code. They'll then type in their name, and be ready to start the game. Plickers has also previously been featured in a 2 Minute Tech Tip. I can't say enough good things about Plickers, for several reasons. First, it is very robust and will let you gather and track data on individual students very easily. You can go in at any time and look at a student's progress, or look at individual questions and see at a glance how the whole class did with it. Second, because of its nature, it is ideal for classrooms with limited technology. The only person in the room that needs a device while you're using Plickers is the teacher. The students each get a piece of paper with a unique shape on it. They use this shape to indicate their answers to question. The teacher uses his or her mobile device's camera (through the free Plickers app) to quickly scan the room and register each student's individual answer. The question can be projected on the board along with a list of students so they know when their answer has been registered (without anyone seeing their answer). You can then switch the view and project how many students chose each of the possible answers, again without any indication of individual students. This is great for prompting class discussions. Third, unlike some other low tech methods similar to this, like having students write their answers on individual whiteboards, students are more likely to give their own answer instead of being swayed by those around them. Each shape has very small, faint letters on each side to indicate which side corresponds with which answer. It is very difficult to see these letters from more than a few feet away. Fourth, the kids have fun with it. I have been in all kinds of classrooms from elementary all the way up to 12th, and the students see it as a kind of game. The teacher needs to register for an account. There you'll set up your classes, enter questions, and keep track of results. 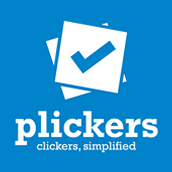 You will also need a mobile device (iOS or Android smartphone or tablet) with the free Plickers app. The students do not need anything other than one of the Plickers cards that has been assigned to them. You can print these cards from the site, or you can contact me for a set that has been printed on card stock and laminated. The name says it all. This is an easy way to create a poll question and have students weigh in, letting you show the results. Your poll questions can contain text, images, or even links to other sites. The free version will not allow you to track individual students, but if you're looking for a fairly easy way to get a read on the whole group, Poll Everywhere might fit the bill. One other limitation of the free version to keep in mind is that you can only have 40 responses to each poll. You need to register for an account. 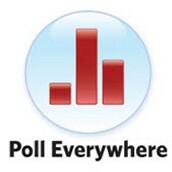 Here you'll set up your polls, and you can go back and look at the results of polls you already gave. Your students will need an internet-enabled device or phone with texting capabilities (make sure it's not counting against their cell plan) in order to answer. Quizizz takes the fun/game feeling of Kahoot! and adds a number of features that make it clear that they went to teachers to find out what we would want in a service like this. You can create your own question sets from scratch, or you can copy one of the thousands of sets that have already been created and modify it for your use. Once you have your set, you can either play it live, with students on their own devices in the classroom, or you can assign an activity as a homework assignment. Either way, although there are still elements of gamification, like leaderboards, students work at their own pace. Results can be tracked and analyzed in a number of ways through the site's report system. The teacher needs to register for an account in order to set up questions, open up the activity for participation, and to track results. This can be done on any internet-enabled device. Students do not need an account. They enter a game with the 5-digit code given to them by their teacher. They can complete the activities on any internet-enabled device. Super Quiz is an alternative to Flubaroo (above). It's another Google Sheets add on that will grade assessments that you create and administer as Google Forms. 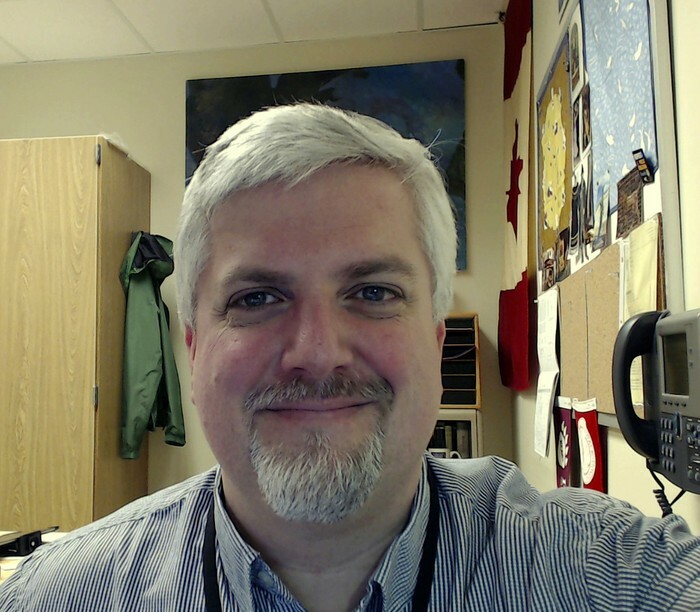 Overall, the function is the same, but this has a few features that Flubaroo doesn't (and vice versa), so if you're interested in self-grading assessments, take a look at both and decide which fits best with what you'd like to do. For more information, the creator of Super Quiz has a full guide on YouTube. 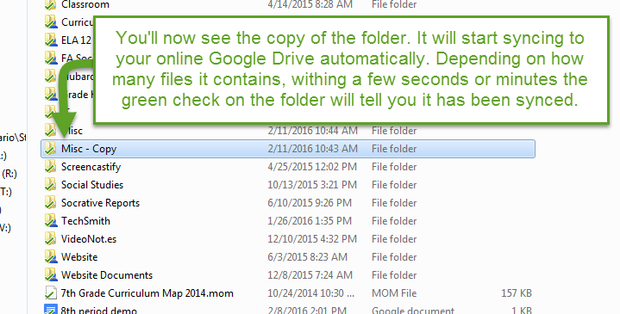 You'll need to install the add on to Google Sheets (very easy to do) within Drive. Then it's a matter of using Forms to create the assessment, delivering it to the students, and then using the add on to grade the results. The students can take the assessment on any internet-enabled device. 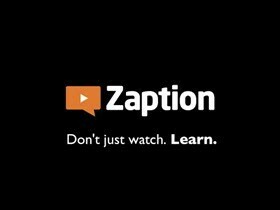 Similar to another service that's been featured in a 2 Minute Tech Tip, EdPuzzle, Zaption is a service that lets you take videos from sites like YouTube and turn them into interactive assignments. You can take the video, add comments, discussions prompts, and questions. The video pauses where you want it to pause and won't go on until the student has answered the question. The only major limitation to the free service is that you're limited to 6 interactive elements per video. The free version still provides you the suite of tracking tools to analyze student responses. This video shows you how to create a video lesson in Zaption in just over 4 minutes. Teachers will need to register for an account in order to be able to create a Zaption tour (as the interactive videos are called). You can use any internet-enabled device, but I've found a computer to be easiest to use. Students do not need to register. They will access the videos through a URL (address) that you provide. They can use any desktop, laptop, or tablet; there is an app for iOS devices, but not one for Android or Windows phones. GeoGuessr drops you at a random location (you can choose a specific country, or be brave and let it drop you anywhere in the world). Your job is then to use Google street view to navigate, look for clues, and then make a guess as to where you are. You accumulate points based on how close you come (in miles) to the actual location. You can play alone, or challenge others. It's fun, and it exposes students to different locations. But, it also builds on a variety of critical thinking skills to be able to look at the surroundings to piece together clues. Available as a mobile app and a website, Countable lets you see what bills are coming before Congress in the near future. For each, you'll see a clear and succinct summary of the bill, the arguments of those in favor and against, and right now, in election season, the stand the front runners are taking. The site also provides easy ways to contact your elected representatives regarding an issue, no matter which side of it you're on. No matter how good your planning is, you will occasionally end up with a lesson or activity that ends a few minutes earlier than you thought it would. If you find yourself looking for a way to fill those minutes, check out The Kids Should See This. The site is built around short videos that deal with random, interesting topics (Like did you know a baby blue whale needs 150 gallons of whale milk a day?) from sources like the Smithsonian. New videos are added every day, so the next time you have a few minutes to fill, check it out again. I'm sure there's some technical reason this isn't possible as an action within Drive. I'm sure it's a perfectly legitimate reason too. But that doesn't make the inability to make a copy of a folder, the same way we can make a copy of any individual files, any less frustrating. There are lots of times that you might want to do this. For instance, if you have a folder full of subfolders and materials that you have shared with other people, you may want to make changes to the structure of the subfolders, delete some materials, add new ones, without yet affecting the people you've shared with. Making a copy of the top level folder and thus all the contents would give you a copy of everything to edit in one fell swoop, while no one else is the wiser. 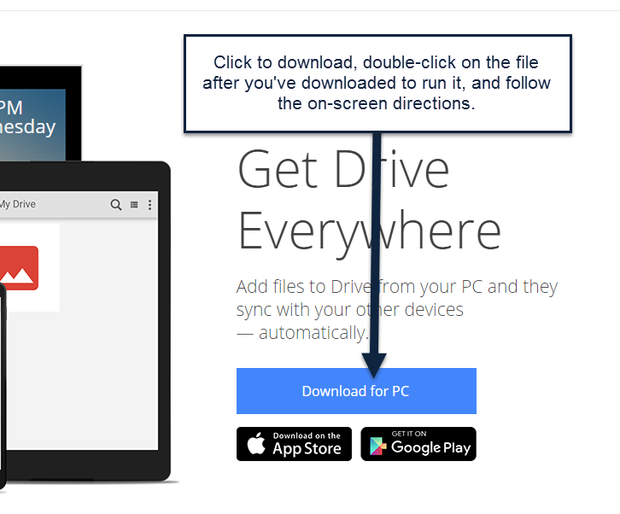 There is a way to do this, it just isn't something that can be done in the web-browser Drive. In order to do this, we need to download and install the Drive desktop client. Now, it's not that this can't be done at school, but if you have the ability to do it at home, you can avoid needing someone with an administrative password to come and install it for you at school. The only things you'd need at home are a computer (there are iOS and Android apps, but those won't work either) and a reliable internet connection (preferably without a data cap - syncing Drive can eat up some bandwidth depending on how much stuff you have in your Drive). During the installation process, you'll sign into your Google account, and it will then sync your Drive folders and files to a folder on your computer called Google Drive. The connection is a two-way street. 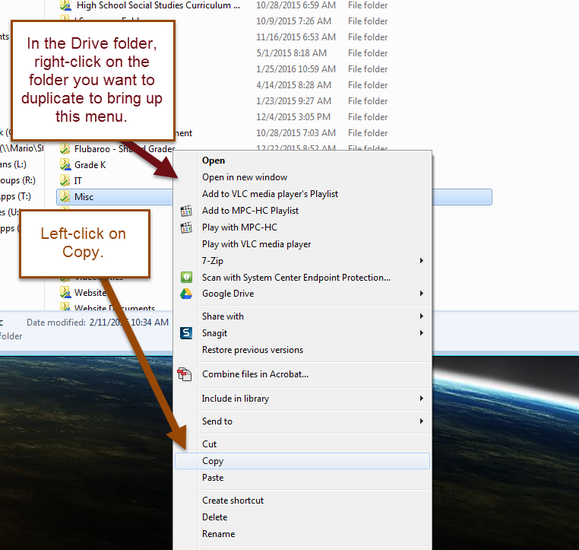 If you change a file online, it will change the file saved on your computer the next time it syncs, and vice versa.